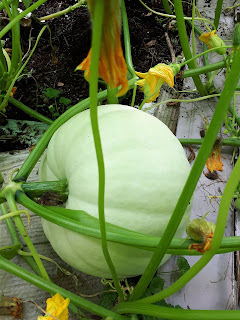 I planted one white pumpkin plant in the backyard garden. So far this plant is producing six pumpkins and numerous flowers. Next year, maybe two plants.